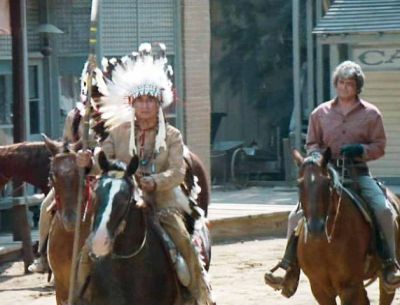 Summary: After Jamie’s disobedience causes the death of a horse, Ben takes him on a camping trip around the Ponderosa. They encounter all kinds of adventures on this trip, which help to teach Jamie about responsibility. 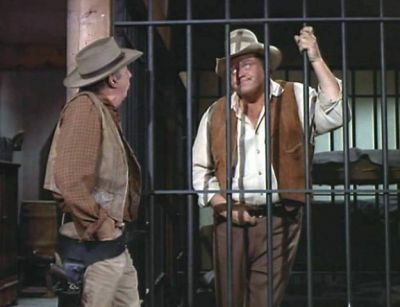 Summary: Conway, an outlaw, is sentenced to five years in jail based on Hoss’ testimony. 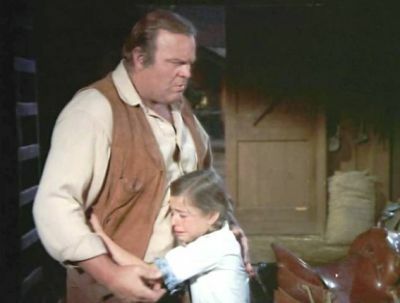 Conway’s wife has a drinking problem and she gives her son to Hoss. 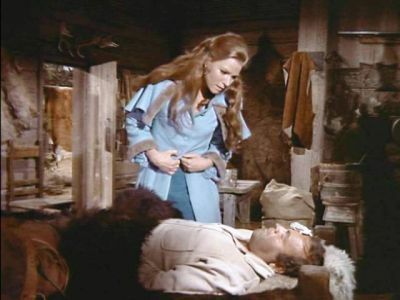 Hoss tries to help Mrs. Conway so she can get her son back. Summary: Little Joe is shot and his wounds are causing infection and delirium. 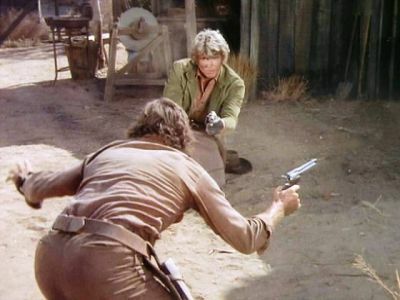 The doctor struggles to save his life as Hoss and Ben search for his attackers. 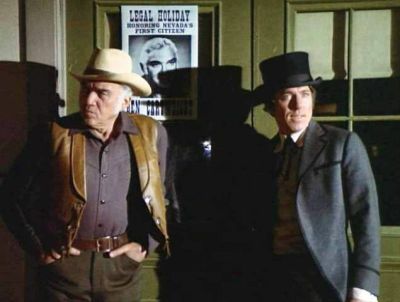 Summary: Hoss is tricked into being the judge at a beautiful baby contest in Virginia City. 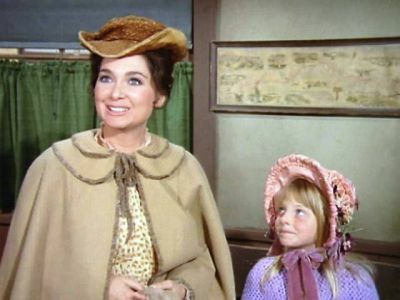 All of the mothers start to use pressure, including bribes and threats, to get Hoss to vote for their baby. 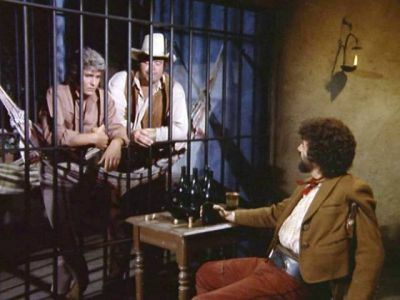 Summary: Little Joe is given the job of taking a prisoner to jail. The job is made difficult because more than one person is trying to help the prisoner escape. Summary: Hoss buys a stallion from Norma O’Casey. Norma is in the process of leaving her husband who is a swindler who has broken promise after promise to his daughter, Cassie. 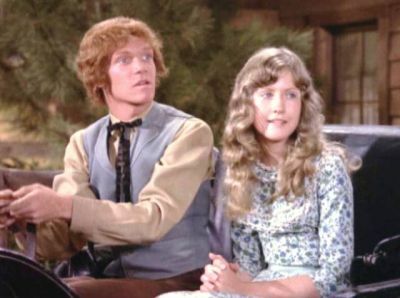 Everyone ends up on the Ponderosa where Cassie tells Hoss not to race his new stallion against her father’s horse. Summary: Dr. Sloan is busy delivering a neighbor’s baby while his wife, who is home alone, loses their son during childbirth. She blames her husband and starts packing to leave. 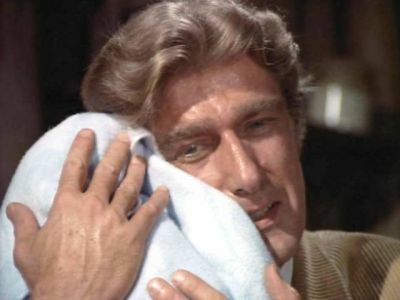 Under tremendous stress after losing his son and his wife, Dr. Sloan takes the neighbor’s baby thinking it is his own. Summary: A murder is witnessed by Neta, a friend of Jamie’s. Jamie sees the body, but when he brings Joe and Ben to the spot, it has disappeared. Neta is too frightened to identify the killer. 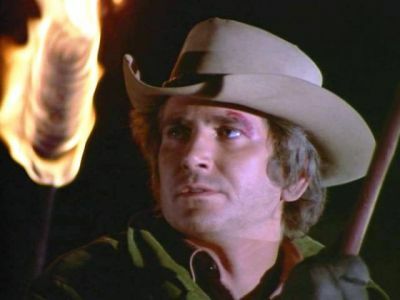 The story becomes more complicated when the killer is hired to work on the Ponderosa. Summary: A blind man comes to the Ponderosa searching for and seeking revenge against his brother’s killer. With Jamie’s help, they find the killer before the posse does. Summary: Actress Lola Fairmont is coming to Virginia City, but a washed out bridge makes it impossible for the stage to cross the water. 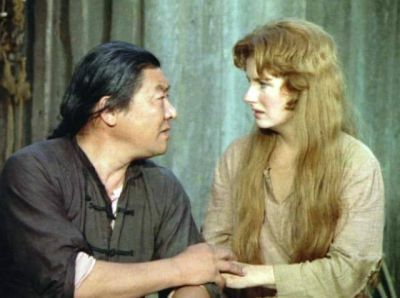 Things get complicated when the actress’s old boyfriend shows up as Hoss is carrying her across the creek. 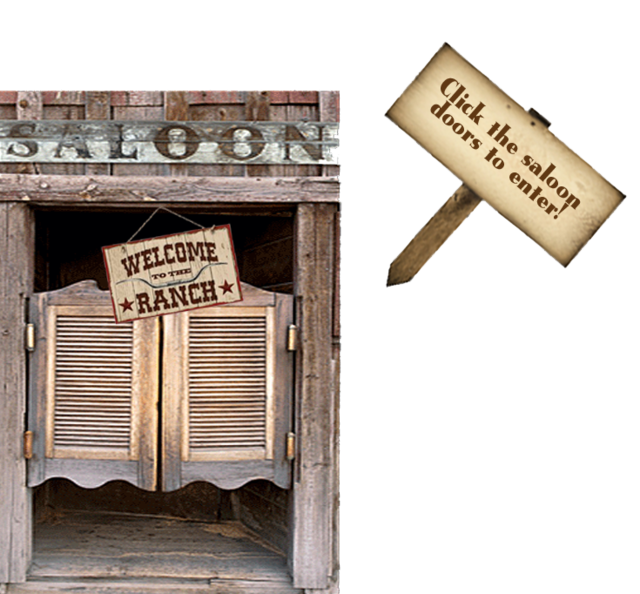 Summary: An infamous gang of outlaws passing through Virginia City on their way to prison manage to take Jamie and three other children hostage. 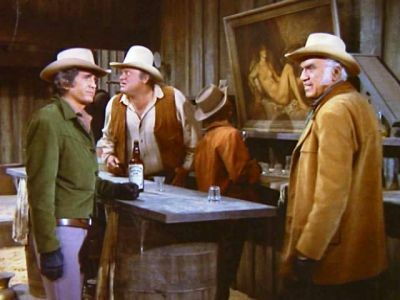 The outlaws show up at the Ponderosa demanding $10,000 ransom for each child. 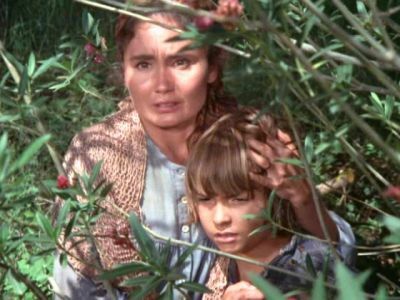 Summary: Luke and Meena Calhoun are back on the Ponderosa! 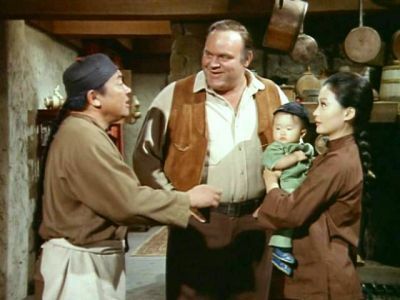 Luke is running gambling games in the bunkhouse and Meena is in Hop Sing’s kitchen when she is not out looking for a husband. Summary: Jamie is getting into fights at school but won’t tell Ben the reason. 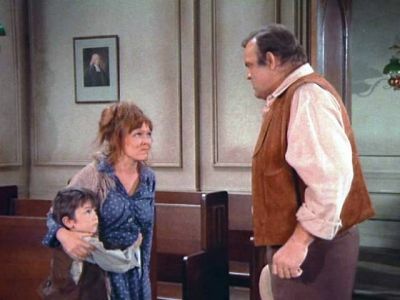 Jamie’s teacher explains to Ben that Jamie’s dream is to become a Cartwright. Ben has started proceedings, but can’t finalize the adoption if there are any blood relatives in existence. As the final papers are about to be signed, Jamie’s grandfather shows up to take Jamie back East. Summary: While on his annual three week vacation Hop Sing meets and befriends a young American girl. They decide to get married but are stopped by a law preventing interracial marriages. 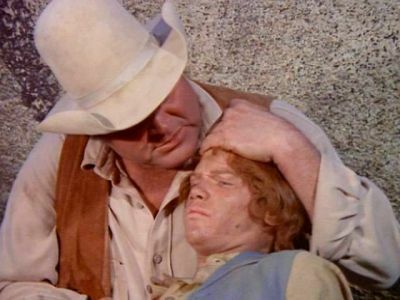 Summary: Feeling old, Ben takes a bet that he couldn’t find a job as Ben “Brown.” Working as a ranch hand, Ben discovers that Ben Cartwright is being framed for stealing land, hated, and is the cause of an impending range war. 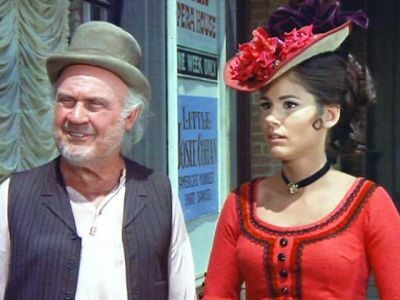 Summary: A former confederate soldier, Shanklin, invades the Ponderosa, shooting Hoss and demanding money. 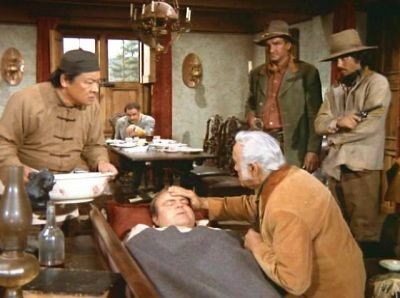 As Ben scrambles to find the huge sum of gold and silver, Hoss faces amputation of his leg. 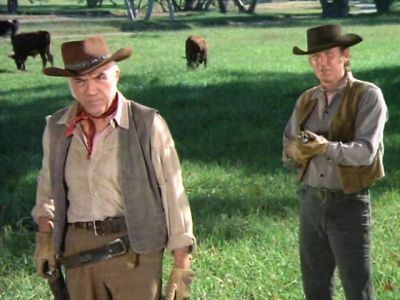 Summary: Ben is trying to finalize a land deal with Sid Langley, a man he has disliked for years. Suffering from an earlier concussion, Ben passes out. When he awakens, the previous day is a blank and he is facing a noose for the murder of Langley. 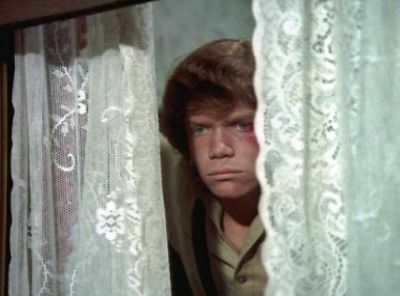 Summary: Hoss is mistakenly arrested as the youngest brother of an inept gang that has just been released after serving twelve years in prison. 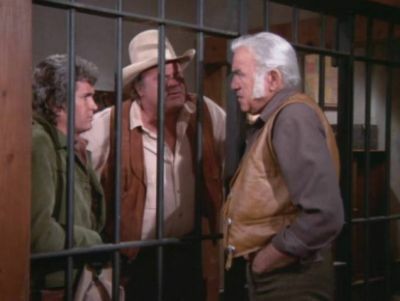 When Ben and Joe try to rescue him, they end up in jail too. Summary: When friend, Rose Beckett and her daughter arrive at the Ponderosa, Ben doesn’t know that they are hiding from the law. Rose's husband is wanted by the law. Ben works with the family to get the charges against the man dismissed. Summary: With the Cartwrights out of town, Ben’s look-a-like is back and still trying to steal the Ponderosa fortune. 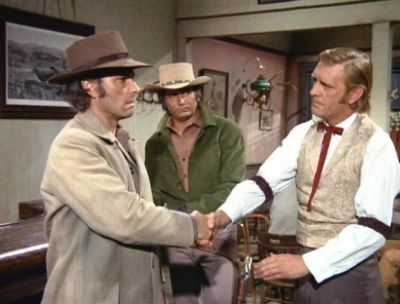 Posing as Ben, Bradley Meredith convinces Virginia City that the elder Cartwright is dying and wants to change his will to leave all his money to charity.